XTOMP is an ultrathin effects pedal stompbox that simulates all kinds of iconic classic, vintage, and modern pedals through its growing effects library of over 300 models. 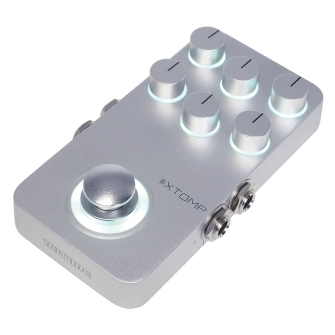 XTOMP uses iOS and Android app to manage all your effects and transfers them to your stompbox via Bluetooth Smart. This powerful pedal lets you get creative by giving you access to both modern, cutting edge units and rare, out of production pedals of lore. At any given time, it is always that “one” pedal that you need!